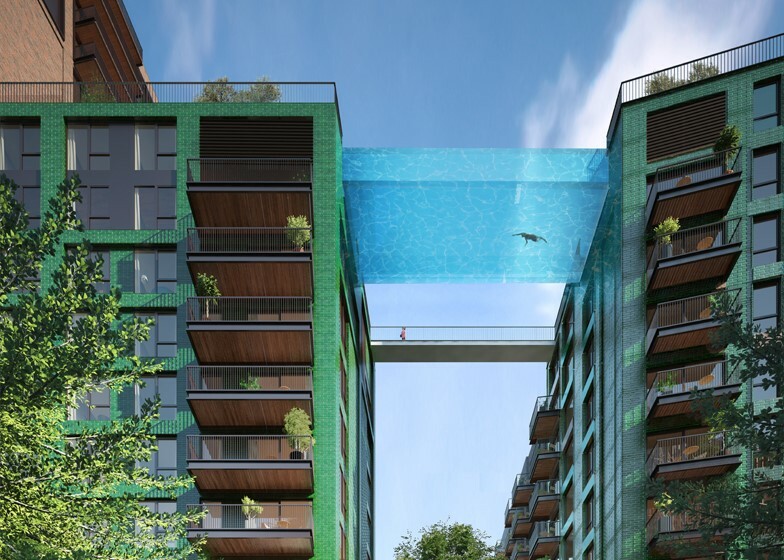 A glass «sky pool» is planned to be suspended between apartment blocks in London’s new Nine Elms quarter, close to Battersea Power Station. The 25-metre-long pool will link two blocks of apartments that form part of the 2,000-home Embassy Gardens development by London architects HAL, now in its second stage. 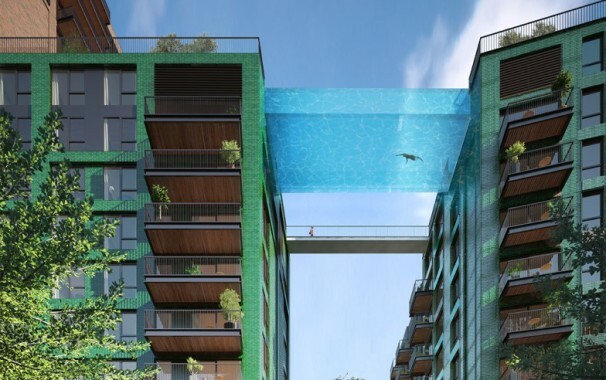 At five metres wide and three metres deep, the pool will allow residents to swim between the two buildings while enjoying views of London through the pool’s completely transparent 20-centimetre glass casing. Intended to resemble an aquarium, the pool was designed by architecture firm Arup Associates with specialist advice from structural design engineers Eckersley O’ Callaghan and aquarium designers Reynolds.